Law360 (March 28, 2018, 8:59 PM EDT) — An insurer can’t escape a dispute over whether it owes an air-blasting equipment manufacturer a defense against multiple personal injury suits just because it is in rehabilitation proceedings in Nebraska, a Pennsylvania federal judge has determined. U.S. District Judge Cynthia M. Rufe said Monday that Acceptance Insurance Co.’s rehabilitation proceedings don’t prevent Empire Abrasive Equipment Co. LP from bringing its suit seeking coverage for legal fees in part because state courts can’t block federal proceedings. The court also rejected the insurer’s bid to toss the suit because it belongs in a different state, saying such a decision is premature. 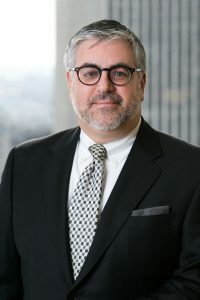 Mr. Conley is Co-Managing Principal of the Philadelphia office and an insurance litigation and recovery lawyer in the firm’s Insurance Recovery Practice Group also in the Philadelphia office. His broad legal experience includes insurance litigation, insurance coverage litigation, and general litigation. He exclusively represents policyholders, including closely held, publicly traded, nonprofit, and municipal entities, with claims against their insurance companies. His insurance coverage law experience includes handling coverage actions on behalf of insureds relating to bad faith claims, defense obligations, law and ordinance exclusions, breach of health insurance contract, crime coverage, employment liability coverage, and coverage for data loss and environmental liability. Mr. Conley’s commercial litigation experience includes representing clients in cases involving breach of contract, abuse of process, trademark infringement, unfair trade practices, and collections. Mr. Conley has also served as an expert on insurance related matters in both Pennsylvania and Maryland. 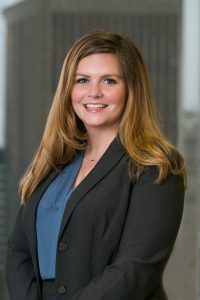 In addition to her trial work, Ms. Finnerty is well-versed in appellate practice, and has argued in front of Pennsylvania’s Supreme Court.